Kasey Kahne‘s NASCAR career, for all intents and purposes, is now over. The fact that it’s happening in 2018 is borderline unfathomable given his quick success in the early stages of his career. Kahne busted through the door and said, “WHAT’S UP, EVERYBODY?” in 2004, earning 13 top fives and 14 top 10s en route to the Rookie of the Year award in the No. 9 Dodge for Evernham Motorsports. Once people started taking note of the Enumclaw, Wash., native’s skill behind the wheel of a racecar, coupled with almost every teenage girl going gaga over him, he became a superstar. 2005 was the year of Kahne’s first Cup victory. It came at Richmond Raceway, where he led 252 laps from the pole. But in 2006, he exploded for six victories and 19 top 10s, the must successful season of his career. From 2007-2010, Kahne earned four more wins. He then made the jump over to Red Bull Racing ahead of the 2011 season, bringing longtime crew chief Kenny Francis along with him to the No. 4 machine. They earned one win in the penultimate race at ISM Raceway. 2012 presented possibly Kahne’s best opportunity yet: a seat at Hendrick Motorsports, for which the NASCAR world knew he was destined. His tenure at HMS driving the No. 5 started off extremely well. He earned two wins and finished a career-high fourth in the point standings. In 2013, he won twice again, but finished 12th in the standings. In 2014, he won once. But 2015 and 2016 began the real demise of Kahne: zero wins, only three top fives in each season and finishing outside the top 15 in points. The real sign of a problem? Only five DNFs combined in those two seasons, meaning the bad finishes weren’t a sign of bad luck, being at the wrong place at the wrong time or mechanical failures. He was just plain slow. 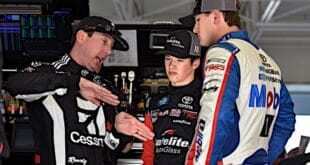 That’s not all on Kahne or Francis; HMS deserves some of the blame. But Jimmie Johnson was doing just fine. So was Jeff Gordon. And Dale Earnhardt Jr. wasn’t finishing 15th-20th every race. Whatever it was, whenever it happened, for whatever reason, Kasey Kahne lost his edge. You’re kidding yourself if you don’t think Kasey Kahne Racing, his dirt track team, had something to do with it. Add that into the mix with his newborn son Tanner and it’s no surprise that the focus shifted for the now-38-year-old. But the more questionable variable is his health. 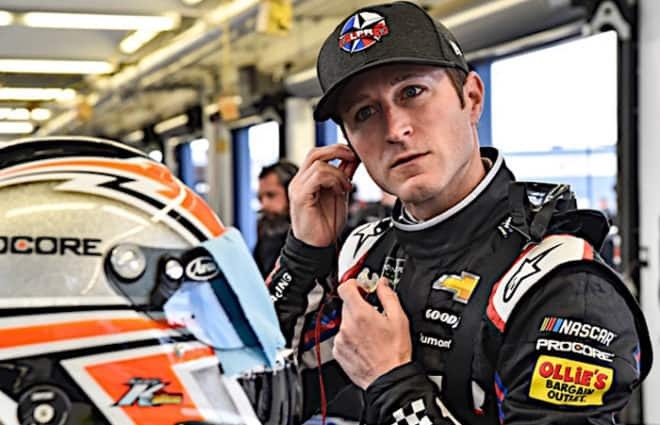 Kahne has routinely competed in physical competitions — be it Iron Mans, marathons, bike rides with other drivers in the garage, the dude is in insane shape and is one of the people to point to when somebody gives you the classic “NASCAR drivers aren’t athletes” excuse. So why is his career being cut short due to, well, his health? It’s relatively strange how an athlete at his peak physicality can be hindered by something that seems so simple: hydration. Yet here we are. Kahne is sitting out the rest of this season, one he previously announced would be his last. Don’t you think that, deep down, this is honestly somewhat what he wanted? His heart just hasn’t been in this game 100 percent as of late. He likes dirt racing more. He’ll never say that publicly, but I can read the tea leaves. The only reason he wanted to finish out the season was for himself (to finish what he started) and for his fans who have stuck with him throughout his 15-year career. He’s tired of driving these heavy stock cars where equipment matters just as much as driver. I mean, hell, in the mid-2000s we thought this dude was Joey Logano before Joey Logano: sliced bread! Marketable, talented, a winner. It just so happens that it didn’t pan out, and longevity wasn’t in the cards for Kahne’s superstardom. If you’re worried that this health scare will be a deterrent for people to come into the sport or that it’ll force your favorite driver to call it quits prematurely, don’t be. Kahne has said it before: this is a freak deal. It’s highly doubtful that another driver will have the same condition as Kahne where their body shuts down only at a certain threshold but still functions fully for certain times in the racecar. The once (and still, I guess?) dreamy, promising young superstar in that badass No. 9 has rode the NASCAR roller coaster enough, and he’s just had enough. Kahne is a racer. That’s why he isn’t done yet. It’s just a shame he has to close the book on one chapter of his career this way. Previous 4 Burning Questions: Is This Not It for Regan Smith? Next Friday Faceoff: What’s the Best Strategy to Survive Talladega? 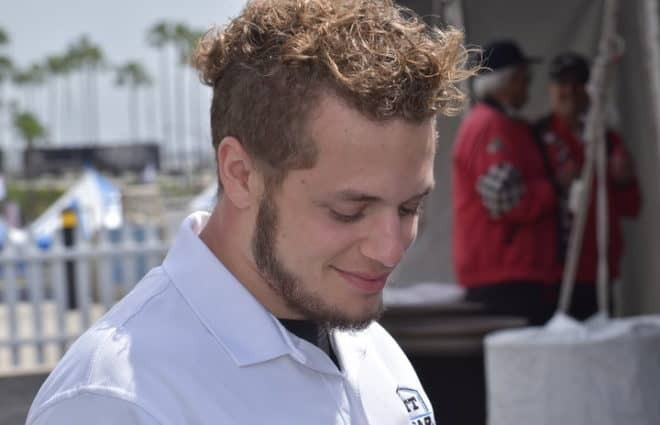 Kenny Francis was not his crew chief from 2015 -2017. Keith Rodden, who was his engineer for many years, was his crew chief. Rodden was obviously better at the engineer role. His cars were fast every week. Hendrick also shifted people from his team to other teams. And then sponsorship issues played into things.